Here is a little fox terrier that I'm offering for auction this week. 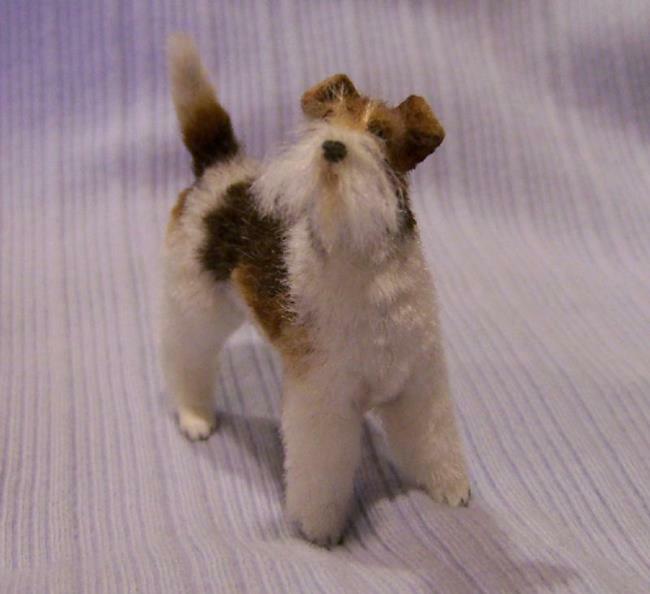 This was first carefully sculpted in polymer clay, painted the tiny details then alpaca fiber was applied and trimmed one thin layer at a time until I achieved the finished piece. 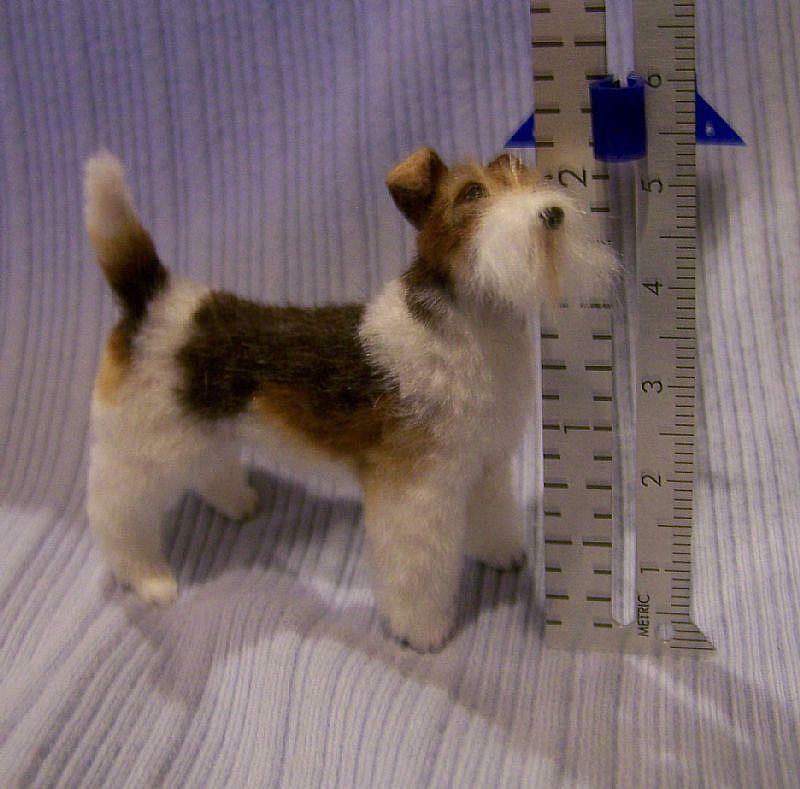 This will arrive with a signed, dated and numbered certificate of authenticity that may be verified through the ebsq site. 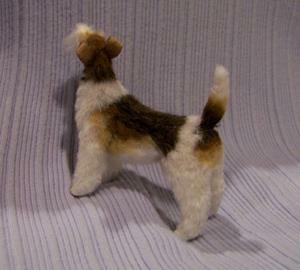 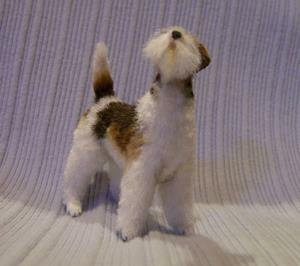 This would make a great addition to your dollhouse setting or original fox terrier collection!